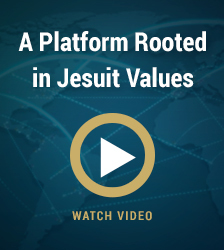 The Global Jesuit Case Series (GJCS) was formally launched in 2015 with the singular goal of establishing a series of real-world business cases, written by executives, educators and entrepreneurs whose work would emphasize principled leadership by highlighting business decisions that showcase the triple bottom line of people and planet on equal footing with profit. Its founders envisioned leveraging the intellectual capacity, moral authority and rich history of the world’s nearly 200 Jesuit institutions of higher education in order to create these cases and shape the next generation of leaders. In the two years since its inception, the GJCS is well on its way to achieving that aim. Its leaders have hired a dedicated staff, built a website, and created pilot cases – all designed to develop compassionate leaders who embrace diversity and globalization. The leaders of the GJCS recently announced the establishment of a new strategic collaboration with another organization committed to strengthening business education, the Society for Case Research (SCR). Established in 1978, the SCR facilitates the exchange of ideas leading to the improvement of case research, writing and teaching. The organization publishes three scholarly journals – the Business Case Journal, the Journal of Case Studies and the Journal of Critical Incidents – each of which features original cases designed to be used in the classroom. SCR staff members work with authors on every element of developing a case, including the narrative structure, teaching note, learning outcomes and theory. Craig Davis, president of the SRC, credited this collaborative spirit with the organization’s success. Their chief aim of this strategic alliance is to strengthen both organizations. As part of their partnership, the GJCS and SCR will jointly sponsor a workshop and conference to be held this summer at Rockhurst University in Kansas City, Mo. The event will serve as an important step in their efforts to encourage individuals from Jesuit institutions around the world to develop case studies that will become part of the GJCS. In addition, the best GJCS cases will be published in the Business Case Journal and a co-branded special edition of the Journal of Case Studies. Finally, the partnership will also build overall awareness of GJCS-themed cases by building upon the reputation, name recognition and marketing expertise of the SCR. Beyond its benefit for students and educators, the creation of these cases, centered on issues such as moral leadership, ethics and sustainability, also serves as a conduit for business and social innovation. 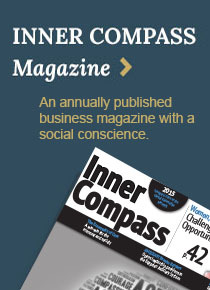 They emphasize humanity while also fostering creativity and profitability. To that end, them help shape individuals for whom discernment, compassion and adaptability are central to their work as leaders.